The annual creative writing competition of YWPS was held in the second term this school year (2017-2018). Students completed their chosen writing tasks during the Chinese New Year holiday and submitted their best work afterwards. 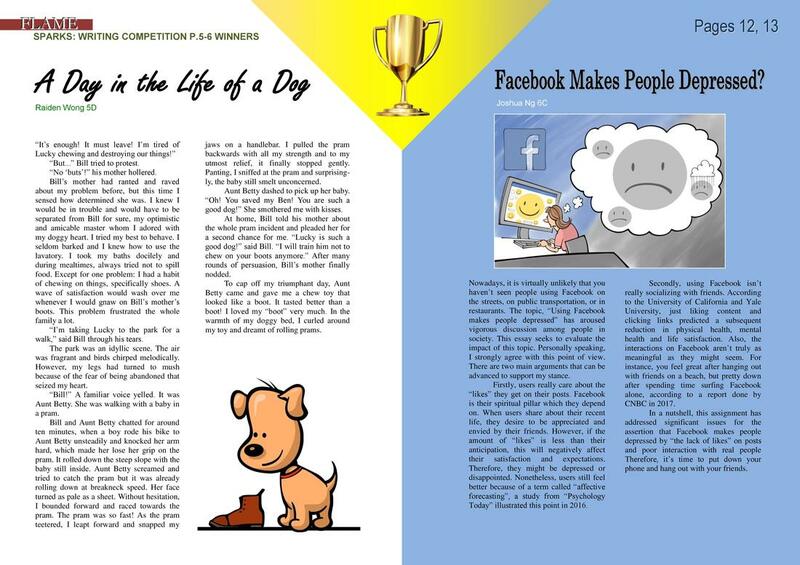 Selected by our English teachers, one piece per level was awarded Champion and the winning pieces have been published in FLAME Magazine (Issue no. 25), as reproduced below (click the picture to enlarge it). 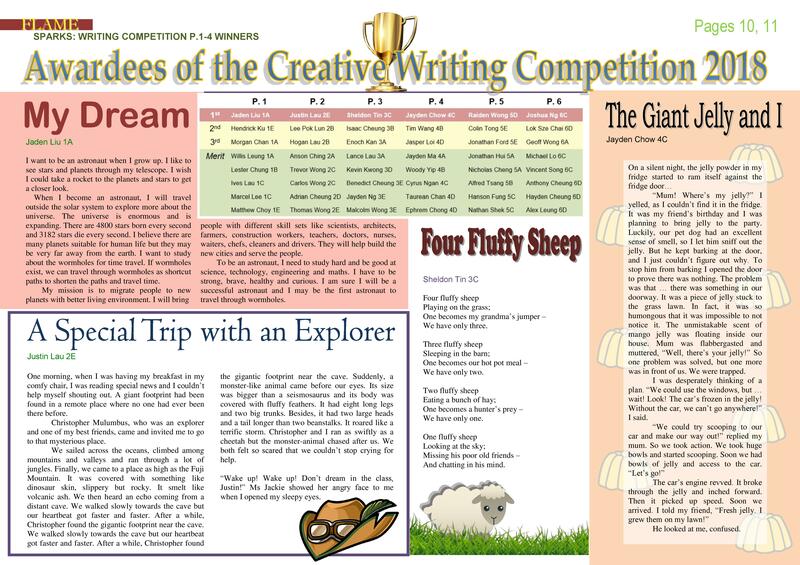 The other awarded entries are displayed in the following pages according to their different levels.